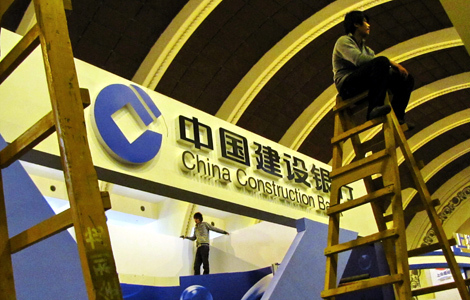 HONG KONG / SINGAPORE – China Construction Bank Corp (CCB), the world’s second-largest lender by market value, has made a preliminary bid for control of PT Bank Maspion Indonesia, three people with knowledge of the matter said. Shareholders of closely held Bank Maspion plan to sell more than 50 percent of the lender, which is valued at about $200 million, said the people, who spoke on the condition of anonymity because the negotiations are private. A stake sale to a strategic buyer may help Surabaya-based Maspion expand its business catering to small and medium-sized companies, the people said. CCB has yet to decide if it will make a binding offer, one person said. It held off making a decision after Indonesia’s government said last month that it will enact new bank ownership rules this year that may bar CCB from holding a majority stake, according to the people. Bank Indonesia, the country’s central bank, said it plans to limit a single investor’s maximum ownership of commercial banks to improve governance in the industry. On July 1, Governor Darmin Nasution told parliament that while the limit will be less than 50 percent, the exact percentage hadn’t been decided. Malaysia and Singapore also impose restrictions on ownership of commercial banks. PT Alim Investindo owns 77.8 percent of Maspion, according to the bank’s website. A Beijing-based media official at CCB didn’t respond to a telephone call and a text message seeking comment. Neni Tania, a secretary to Bank Maspion President Director Herman Halim, had no immediate comment. In a separate development, Bank of America Corp (BofA) has held exploratory talks with the principal investment funds of Kuwait and Qatar about selling part of its stake in China Construction Bank, Reuters reported citing sources with direct knowledge of the talks. Bank of America, which owns about 10 percent of CCB’s Hong Kong-listed shares and is scurrying to raise capital for its mortgage-scarred balance sheet, will be contractually free to sell the bank shares after August 29. They are valued at about $17 billion. The bank, the largest in the United States by assets, is likely to sell half its stake in order to shore up its Tier 1 capital. Analysts believe Bank of America needs about $50 billion to meet new capital requirements. Talks about the Chinese bank have been held with other investors in addition to the Kuwait Investment Authority (KIA) and the Qatar Investment Authority (QIA), the sources said. It is unclear if any agreement with the sovereign wealth funds or other investors have been cemented. Bank of America, whose shares have fallen 20 percent in the past week, did not mention the Chinese investment during a widely followed conference call that top executives held on Wednesday with thousands of investors. During the call, Chief Financial Officer Bruce Thompson said that asset sales are being considered to boost capital. Bank of America spokesman Jerry Dubrowski declined to discuss whether negotiations have been held, and officials at QIA and KIA were not immediately available for comment. “We continue to be a significant shareholder in CCB and we intend to continue the important long-term strategic alliance with CCB originally entered into in 2005,” Dubrowski said. The sources sought anonymity because they are not authorized to speak to the media. Bank of America has not been getting much support this year from its CCB investment. Shares of the Chinese bank have fallen some 24 percent, partly in anticipation of a BofA sale, traders said. Last November, Bank of America sold its option to purchase additional shares of CCB that were available in a rights offering.